So you think you've got one up on the people around you. You look around at the way that other people are living, compared to the way that you're living, and whether you verbalize it or not, and whether you intentionally keep it in the forefront of your mind or not, you live with the high and mighty assumption that your lifestyle is fit for the Kingdom and that the lifestyles of certain people around you are falling short. And so you look down on them and judge them. You point out a few selected verses in Romans 1, which describe why the wrath of God had been "revealed from heaven against all unrighteousness and ungodliness of men, who suppress the truth in unrighteousness," and you criticize those who you see as falling short according to those verses and you protest their behavior. You glance over the rest of the chapter but you keep coming back to the couple of sentences that make your case against those you keep criticizing. You're so distracted by and focused upon the acts that other people in this world are committing, all because of the great partiality that you show in your hand-picked, limited selection of specific words out of an entire chapter (and beyond), that you've become blind to what the entire passage means both to you and to those you look down upon. There are indeed many acts of "unrighteousness and ungodliness" listed in the last half of Romans 1. And with your self-righteous, holier-than-though attitude, you've failed to see that it's all traced back to the words "all unrighteousness and ungodliness of men." You are included in that group just as much as anyone else. "For there is no difference," Paul would write just a couple of chapters later, "for all have sinned and fall short of the glory of God." That was the predicament, so to speak. That was the problem. 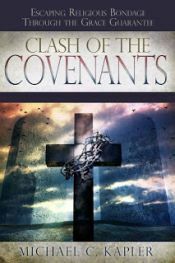 The wrath of God was revealed from heaven against all the unrighteousness and ungodliness of men. No one was excluded, including you. You were condemned along with all the rest of mankind. But even so, that wasn't Paul's overall point! His purpose here was neither to give us a list of things with which to judge others nor to leave any of us condemned. He was setting up the good news of righteousness and justification that has nothing to do with our behavior! Right after listing several examples of the acts of unrighteousness and ungodliness of men, Paul says something that is very profound and that is seemingly completely missed by those who focus only on the actions of others: "Therefore you are inexcusable, O man, whoever you are who judge, for in whatever you judge another you condemn yourself; for you who judge practice the same things." Paul's list of various acts of unrighteousness wasn't a list for us to use to point fingers and to judge and condemn others, but rather to show how we are in no position to judge and condemn others! We may not all commit exactly the same acts of unrighteousness and ungodliness, but the point is that we were all in the same boat and that there is therefore no room for judging others. So with all this said, Paul then delivers the good news. After showing how God's wrath had been revealed against all the unrighteousness and ungodliness of men, and how no one was excluded from that, and how there is therefore no room whatsoever for any man to judge another man, Paul gets to what he was leading up to all along. Paul's purpose in listing various unrighteous and ungodly acts was not to give people ammunition to judge and attack one another with, but rather to show self-righteous people that there is no room for judging. So hopefully, once you've realized that all of mankind was included in the reasons why the wrath of God was revealed and that God's very own righteousness, that came as a gift, was revealed as the solution to that problem, you will stop using Romans 1 in the way that it was never meant to be used - to condemn and judge and protest the behavior of others. Rather, you will hopefully use it to set up the good news of righteousness and justification by grace through faith, having nothing to do with your behavior or the behavior of others!